LLS Community : Am I Depressed? Do you ever feel sad, withdrawn, or blue? Did these feelings appear or become more pronounced after your or your loved one’s diagnosis? If so, you are not alone. Many patients and caregivers report feeling down during the course of a cancer journey. These feelings can arise when adjusting to a new diagnosis or changes in relationships. They can also arise while adjusting to life after treatment or living as a “survivor”, even many years later. Identity challenges or emotions such as guilt, anxiety, irritability, and emptiness may surface and may look different for each person. 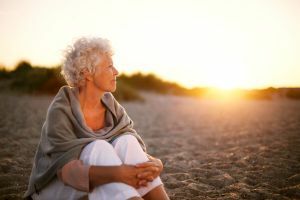 If you feel down or have lost interest in things you used to enjoy most of the day nearly every day, and if this is interfering with your daily life activities, it may indicate a depressive episode. This is not uncommon and can improve with treatment. If you or your loved one is experiencing this, you can schedule an assessment with a qualified professional (for example, a licensed clinical psychologist, health psychologist, psychiatrist, or clinical social worker). Regular therapy sessions, and in some cases medication, can be effective for the treatment of depression. It's also important to rule out any medical causes of depression; talk to your doctor. Even if you don’t have depression, you may find it helpful to visit a mental health professional who can help with talking through emotions, family struggles, life decisions, and relationship changes. A great resource is Psychology Today, which can help you locate a mental health professional. If your emotions ever get to be too much to handle, or if you ever feel that life is not worth living, call the National Suicide Prevention Lifeline at 1-800-273-TALK (8255). The call is free and confidential, and crisis workers are there 24/7 to listen to you and assist you.